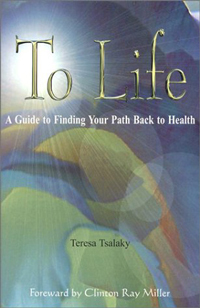 Former Bainbridge Island Review editor Teresa Tsalaky is the author of the non-fiction book To Life: A Guide to Finding Your Path Back to Health (2002). 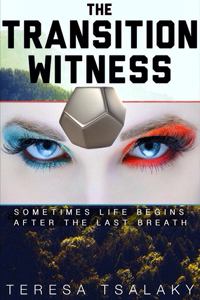 She also wrote The Transition Witness: Book 1 - Breathe, a 2014 novel published to great acclaim. Transition Witness DC-1128, a woman whose job it is to verify the deaths of people who are euthanized, revives one of the 'transitioners' and together they escape their futuristic totalitarian society. "People are hungry for good fiction that feeds the soul,” says Tsalaky. "I think The Transition Witness just hit the right combination of literary dynamism and a message that’s ripe for our times,” The novel's sequel is expected soon. 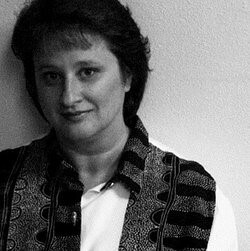 Tsalaky's series is part of an emerging genre called visionary fiction, which emphasizes the transformation and evolution of humanity. According to the Visionary Fiction Alliance, interest in the genre — which became an official fiction category in 1999 — is growing rapidly.